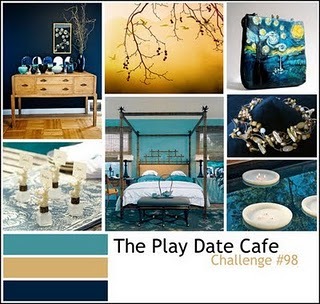 I made this card for The Play Date Cafe Challenge #98. I used the Artist Butterfly from Hero Arts. I colored the Butterfly with Copic Markers. Thanks for taking a look! Oh Donna!!! What a beauty! Thank you so much for coming along to play with us again at The Play Date Cafe...and a special thanks for stopping by Julie's Open Window and leaving a kind comment as well. So pretty, Donna! I love the way you colored the butterfly! OHHH! This is such a gorgeous card--LOVE your take on the colors! That butterfly is colored perfectly--great shading! Soooo happy that you joined in the fun and played along with us over at the PDCC!!!! and THANK YOU soooooo much for stopping by my blog! Your comment made me smile:) HUGS! gorgeous butterfly, love the single tone colors of everything. always lovely! Pretty Donna! Love the polka dots and your wonderful butterfly! Oooo! That butterfly is absolutely stunning, Donna! Gorgeous card, and a spot-on take on the color story! Thanks so much for playing along with us this week at The Play Date Cafe! Beautiful butterfly! Your copic coloring is fab, love it as the focal point :) Thanks for playing this week at the Play Date Cafe! You have nailed the colors! I really love your colored butterfly and you can't go wrong with polka dots! 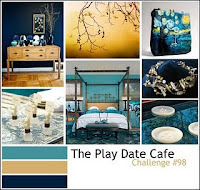 ;) Thanks so much for playing along at The Play Date Cafe this week. Another amazing card! Your butterfly is sooo pretty, such perfect colouring! I heard that lots of people are looking for good eye doctor and I want to share the best optometrist irmo sc which provides good service.